Cloudcell EQ from Cloudcell Technologies is an SDWAN based connectivity platform that we exclusively use to provide cost effective, enterprise-grade, 4G and hybrid broadband to businesses, in any location. In addition to LTE and LTE-Advanced, using SDWAN, Cloudcell EQ supports a range of alternative WAN technologies, including ADSL and Satellite, allowing a prioritised cascade of communication links, all managed through the same support portal, optimising investment. Exploiting multiple cellular connections, SIM redundancy and hot failover, every Cloudcell EQ edge installation options comes with business continuity and Quality of Service built in. Remotely monitored and controlled through our industry-leading support portal, a customer’s existing support staff have instant access to unique insights into performance and potential issues, without the need for expensive site visits. Our contracts with the UK’s four mobile network providers, uniquely enable Cloudcell Technologies to deliver full end-to-end support, including network performance issues. Our team of mobile experts use a range of class-leading antennas, SIM redundancy and hot failover technology, to maximise 4G speed and availability, keeping businesses connected, even in areas where mobile coverage is poor. The location of network equipment, typical deep inside a building, can adversely effect cellular performance. Dongle based solutions and simple paddle antennas simply do not have sufficient gain to provide a strong, stable connection (and maybe unable to make a connection at all). Cloudcell EQ edge equipment, located anywhere inside a building, avoids these issues with the use of externally mounted high-gain antennas. In our experience, high gain, externally mounted antennas can reduce network related connection faults by up to 36%. With our range of Cloudcell EQ edge installation options, no office is too big or too small to experience superior broadband. 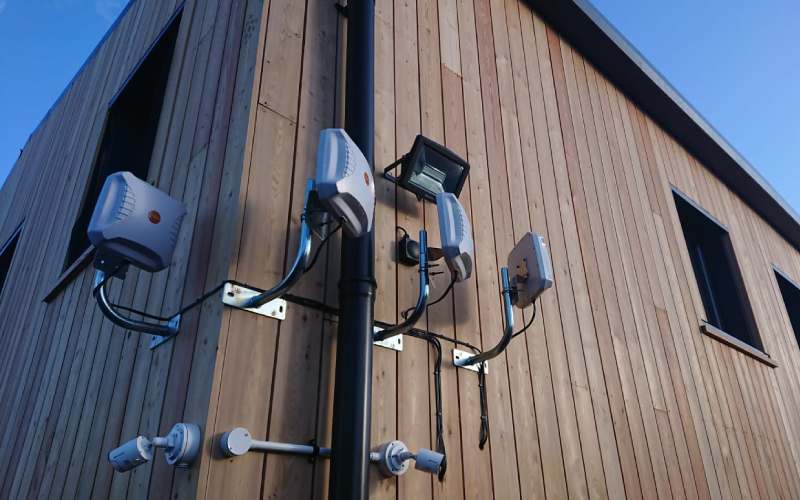 Whether you require a fully managed, cost effective fibre alternative or a basic internet connection, Cloudcell EQ can be deployed in any location. If you would like to know more about Cloudcell EQ, please get in touch, today. Interested in becoming a Cloudcell EQ reseller? Visit the Resellers page for more information.